Setting up an “out of office” reply – If productivity-obsessed Tim Ferriss recommends it, you know it’s worth trying. After even a few days out of the office, email pile-up can become overwhelming. The undue stress and wasted time sorting old emails is preventable. In Outlook training, you will learn how to set up a reply that automatically goes out when you receive email. This discourages others from sending further messages, as well as giving them a set time to anticipate your response. Setting up a distribution list – If you regularly send emails to long lists of co-workers, you understand how long it can take to add each individual one-by-one. 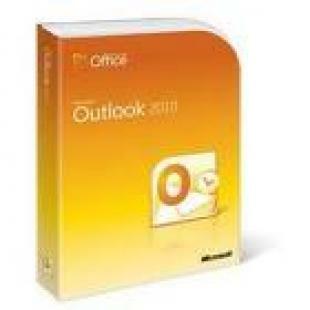 Microsoft Outlook helps to streamline this process with the mailing list function. Restoring data from a backup – Imagine opening your laptop one day to find you’ve lost all of your contact info and other essential Outlook data. All of your important emails – lost. Is your heart starting to pound in your chest, beads of sweat forming at your temples? Don’t worry – you can access your Outlook data from a backup copy with a few preliminary steps. Synchronizing different calendars – Sometimes our appointments and meetings become too much for a single calendar. It is not uncommon for users to have numerous personal and work calendars hosted on several sites. Outlook makes it simple to synchronize these calendars into a format that’s as easy on the eyes as it is to use. Periodically sending and receiving – Having to click “Send and Receive” periodically to check for new messages can be a pain. You can program Outlook to refresh at startup, and periodically as you use the program. Using this feature will ensure that you don’t miss another incoming message again. All of these tricks and more are presented in online Outlook training courses from TutorPro, Mindleaders, 360 Training, Sonic Performance Support and Atomic Training. These Microsoft Outlook tutorials include features such as audio, exercises and realistic simulated content to help achieve your Outlook online training goals.